The Wonderland Lake Park/Foothills Loop is a tranquil and scenic spot for running. Roughly three miles north of downtown Boulder, one can put together a lovely 4-mile loop though these parks and gardens. Wonderland Lake Park offers plenty of open space, water access, picnic tables, a playground, hiking trails, and, most importantly, a paved walking/running trail. You’ll experience people fishing, various wildlife, and the beautiful nature of the park, as you run along the outskirts of the lake. 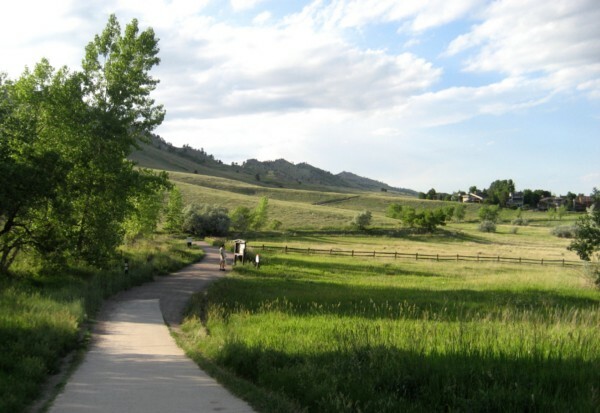 The Foothills Community Park offers a wide range of facilities and recreational amenities including sports fields, picnic shelters, a playground, a dog park, and access to OSMP trails. There are also beautiful community gardens in the park. One section of the garden is devoted to medicinal herbs, one section to flowers, and the rest is for vegetables, such as greens, cucumbers, peas, and tomatoes.